A PhocusWright study points out that 53% travelers won’t make a booking if a hotel does not have online reviews. Travelers use reviews to research accommodation options and to talk about their experience. A hotel will receive good and bad reviews – it’s just the nature of the game. What’s important is how a hotelier manages and responds to online reviews, especially negative ones. By understanding this, you will be one step closer to maximizing reviews. Here’s an A to Z of the dos and don’ts for handling negative reviews online. Apologize: Saying sorry to a guest for their poor experience goes a long way in assuaging their displeasure. Don’t worry, it’s not an admission of guilt – it’s just you being sympathetic, which will make you look good in front of other potential guests. Be Calm: No matter how critical or angry the review is, you need to stay calm. If you get into an argument or insult the guest, you’ve not only lost that guest for life, but also every other potential guest who sees your response. Clarify Misunderstandings: In some cases, negative reviews are the result of misunderstandings (like someone complaining about the hair dryer not working when they really didn’t understand the mechanism). Be sure to respond diplomatically and explain the situation politely. Damage Control: If you’ve done everything possible for a guest after they’ve left a bad review and they are still not satisfied, you need to show potential guests that you did your best to resolve the problem by replying with supporting information or data. Everything Is Serious: Even if you think a negative review is referencing something inconsequential (like them having preferred peanut butter instead of the cheese spread that your property served), that might not be the case to others, so definitely don’t ignore these reviews. Fix the Problem: Do your best to fix the guest’s problem if it’s feasible, and respond to the review with the steps you’ve taken to fix the issue. Go Beyond the Surface: Don’t just apologize or say you’ll improve. Take the opportunity to discover what else would have made the guest’s stay even better – you never know where your next great business idea may come from! Honesty Is the Best Policy: Be honest when engaging with guests who have left negative reviews. Don’t try to make yourself look like the victim. 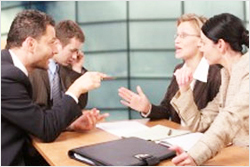 Acknowledge your mistakes and deal with the specific issues presented. Improve: If you’re continuously getting negative reviews referencing the same thing, then you need to make improvements in that area, even if they will require extensive investment. Then, post proof to show potential guests you have taken steps to resolve the issues. Just Do It: Don’t just talk about updating the décor, renovating, or improving the experience. You have to do it. It’s imperative that you keep the promises you make or you’ll keep seeing negative reviews and also lose credibility. Keep Your Staff in the Know: Your staff is critical to creating an excellent guest experience and if they don’t know about the negative reviews you are receiving, they can’t help improve the situation. So, make sure everyone in your hotel is on the same page and working towards the same goal. Listen to What Guests Are Saying: When someone leaves a negative review, they aren’t attacking you. They are expressing their feelings and how they were disappointed. So, listen to them, find the root cause of the problem, and fix it. Monitor: Check your TripAdvisor page and other review sites on a regular basis to catch negative reviews right away. Never Reveal a Guest’s Personal Information: Even if a guest has called you and your hotel every bad name under the sun, never, ever reveal their personal information online out of spite (or even by accident). This is bad form and will completely alienate any other potential guests. Originality Is Vital: When responding to any reviews, especially if they are negative, don’t use generic answers. Such replies annoy people because they make them feel as if you couldn’t be bothered to write a proper answer. Instead, be original, personal, and sincere in your message to them. Provide Direct Contact Details: Give the person who left a negative review the possibility to contact you directly to sort out any further issues. This will take the conversation out of the public eye and allow you to better connect with the guest and resolve their problems. Quit While You’re Ahead: Though it’s considered good practice to respond to all reviews, if a particular reviewer is clearly being malicious for the sake of it, you are better off ignoring them. 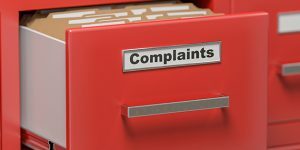 Potential guests can tell the difference between legitimate complaints (which you’re responding to and dealing with in a graceful fashion) and someone who is looking to cause trouble. Respond Quickly: Your hotel should respond to all reviews, especially negative ones, within 24 hours. Make sure the response is personalized and professional. Speak Like a Regular Person: Just because you have an alphabet soup of degrees after your name doesn’t mean you should bring out the complex vocabulary. You’ll only irritate and antagonize reviewers. Speak like a normal person or find someone else to do the talking for you. Thank the Guest: You should thank your guests for leaving feedback, especially when their review is negative. Control your emotions and keep in mind that all feedback is valuable. Update the Guest on Progress: If you provide an update when responding to negative reviews regarding how you’ve solved the issue they had, you stand a much better chance of winning back their business because you’re showing you listened to them and have taken action. Value Negative Reviews: They can help you identify problems with your hotel and provide ideas on how to improve the guest experience to increase loyalty and return business. Waste Not, Want Not: Negative reviews present as much of an opportunity as positive ones. In fact, they are an even greater opportunity because they show potential guests how attentive you are to their needs and desires. Xtra Special Attention: When responding to negative reviews, you need to apologize and address all the points made in the review and also make sure to invite the guest back. If they do return, make sure to acknowledge that person and thank them for giving you another chance by doing something unexpected, like leaving a small gift basket in their room. Yesterday Has Passed, But It’s Never Too Late: Even if it’s too late to fix the negative reviewer’s problem, you still need to respond and highlight the improvements you’ve made so other potential guests can see that the issues have been addressed. It’s even better if the guest posts an update stating all concerns have been resolved. Zeal: It is an admirable trait but only when you apply it in the guest’s favor and show that you are enthusiastic about resolving their issue. Don’t get defensive and definitely don’t insult the guest, even if you are convinced you have done nothing wrong. Potential guests will not take lightly to you criticizing a guest and will definitely consider choosing a different hotel to take their business to. Remember that you should embrace negative reviews because they can help you improve guest experience. Don’t shy away from having a presence on review sites for fear of attracting negative reviews. Riddhi is the Content Head at Hotelogix who’s passionate about all things creative! Her experience spans across e-commerce, hotel technology and the mobile VAS space. She’s an avid reader and an enthusiastic traveler. "The A to Z of Handling Negative Hotel Reviews Online", 5 out of 5 based on 1 ratings.